Nearly everyone at some point has made a catastrophic change to their website and wished they could undo the damage. Sometimes, it’s easy. Other times, not so much. Those who don’t have much knowledge about their site other than merely posting can find themselves in a quandary quite easily if they have an issue crop up with their site due to some change they made. Sometimes, you don’t even realize that you made a mistake until days later when you actually check out your site or receive an email from a visitor pointing out the issue. Then, it can be difficult to remember what it was that you did to damage the site in the first place! Of course, user errors are not the only issues that could happen with your site. Hackers are another very real threat, and they can sometimes change things in a site’s database. Fortunately, you do have a way around this problem, and it is much easier to do than you might imagine. 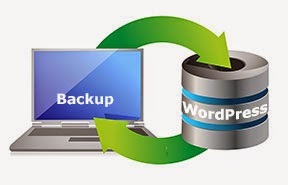 You can simply make backups of your site and then restore it when there is an issue. However, it’s important to make sure that you make this a habit so that you always have as fresh of a restore copy as possible. One of the great things about using WordPress is the fact that you will have access to a built in restore and backup system. This makes it easy to save and transfer your site content from one area to another. This feature is going to back up just about everything that you have including posts, pages, categories, tags, and comments. One of the drawbacks to this option is the fact that you aren’t going to be able to back up the attachment files. You are going to need to back up your entire site and your WordPress database. You have a few different options when it comes to backing up your site too. Many times, the Web host that you use with your WordPress themes will have a backup service or option that you can use. Another option is simply to copy the files that you have to your desktop or to an external hard drive. You can use FTP Clients to do this and copy the files right to a designated folder. It might take some time to back up a large site, at least the first time, but it is a good idea. Something that quite a few people are starting to do now is back up their site right to Dropbox. The method is similar to copying files to your desktop, but this way they are in the cloud and they will always be there for you. It’s safer than putting the files only on a desktop that could eventually crash. One of the things that most people ask is how often they should back up their site. This varies from blogger to blogger, naturally. If you blog daily, then it might be a good idea to make a backup at the end of each day or every couple of days. If you only blog once a week, then a backup every two weeks is probably going to be sufficient. Do what makes you feel the most secure. It is usually a good idea to keep at least three identical backups. Have one on your desktop, one on your external hard drive, and one in the cloud. You can zip the files so that they are smaller and more manageable too. Make sure that when you back up your files, you do it for all of the different locations.